I can't eat this tasty treat because of my Crohn's, but I have had rave reviews from friends and family alike. This recipe is pretty much like every other caramel corn recipe out there, except that it uses vegan margarine which is cheap and adds some salt to complement the sweetness. I also like the addition of vanilla extract to round out the flavour a bit more. It does use light corn syrup which some may want to avoid--I am guessing that you can use brown rice syrup instead but I have not tried it. Experiments with adding maple syrup led to a pronounced burnt sugar taste (the kids ate it anyway). This recipe is party sized, so cut it in half if you want to. 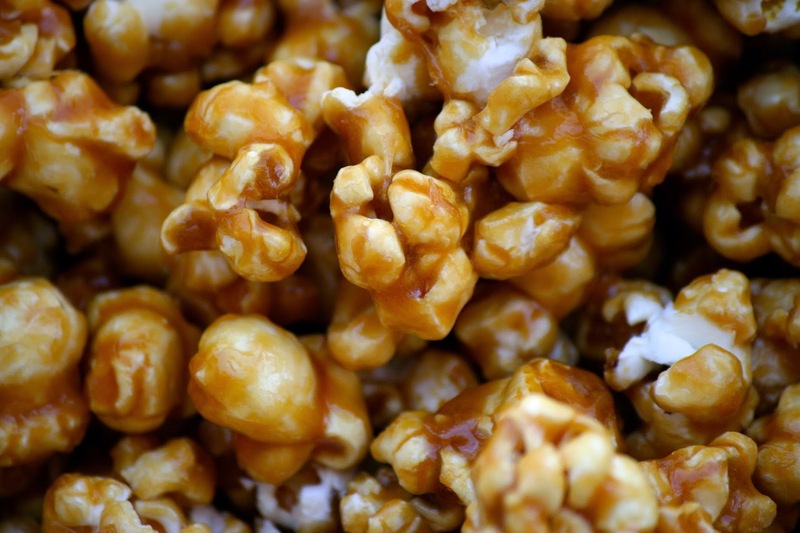 I like a thin glaze of caramel on the popcorn, so if you like more use only a 3/4 cup of popcorn. If you want to add nuts then reduce the popcorn accordingly. 1. Pop your popcorn (I do it in two batches in an air popper) and place in a large roasting dish. 2. Mix together corn syrup, margarine and sugar in a medium/large saucepan. Place on a burner set between medium and med-hi heat. Keep mixing while everything melts, but stop once the mixture begins to bubble. 3. Let bubble until it reaches hard crack stage (between 300 and 310F). If you don't have a candy thermometer, you can let it bubble for 10 mins and it will be close enough. 4. Remove the mixture from the stove. Add the vanilla and mix well (it will splutter a bit). 5. Add the baking soda (it will foam like mad) and mix well. 6. Pour over the popped corn and mix well. 7. Bake, uncovered, for an hour. Mix well every fifteen minutes. 8. Remove from roasting pan and spread out on a piece of parchment paper to cool. Break up an large clumps. Once cool, store in an airtight container.